The term full coverage auto insurance gets tossed around frequently when speaking about car insurance. However, do you know what is full coverage auto insurance ? It may not be as cut and dry as you think. Full coverage isn’t a specific coverage offered by insurance carriers. Your agent does not hit a full coverage check box on your policy and you are ready to go. It is a term which has evolved and is well known in the insurance industry but insurance carriers do not use a laid out set of rules which they all follow. 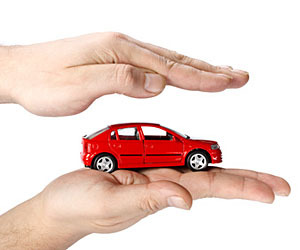 Auto insurance coverage options can be interpreted in different ways. 1. State minimum requirements : every state in the U.S. has the ability to set its own state minimum coverage auto insurance. The state minimum requirements typically includes bodily injury liability and property damage. 2. Comprehensive : physical damage for all the things that can happen to your vehicle other than a collision are covered by comprehensive coverage. Full coverage cannot be possible without comprehensive coverage. 3. Collision : collision is the coverage that gives you the broadest coverage and is always included in full coverage auto insurance. Collision coverage ensures your vehicle will be covered regardless of what causes the damage. Collision covers damage for all accidents and since collision cannot be purchased without comprehensive coverage anything other than an accident will still be covered. Extra auto insurance coverage is where the line starts to get blurred when it comes to full coverage. If you state the words full coverage, maybe you assume it means every insurance coverage available. Maybe you think roadside assistance is automatically included with the term full coverage. One lesson you do not want to learn the hard way is to never assume anything when it comes to car insurance. 1. Uninsured motorist / underinsured motorist : these coverages can easily be overlooked if you are not familiar with the coverage. It is important to understand the coverage and determine if it is something you want. Insurance agents can easily drop this coverage off of your quote to low ball your rate and beat other full coverage auto insurance quotes. If you opt out of this coverage, make sure you do it knowingly and are not surprised down the line. 2. Gap insurance : buy a new vehicle, request full coverage, and expect gap insurance, not necessarily. Gap is a coverage you need to request up front. A good agent will offer it to you but you can’t always rely on it. Do not assume gap insurance is automatically included with full coverage auto insurance. 3. Towing : towing is probably the most commonly packaged coverage included with full coverage auto insurance. It can be really disappointing when you are stranded and call your agent only to find out you do not have coverage. Definitely specify if you want roadside assistance. 4. Car rental : some insurance carriers do offer a limited amount of car rental reimbursement when you purchase full coverage auto insurance. Sometimes the coverage is not listed so you have to ask what your policy offers. If car rental is an important coverage to you, make sure to request it at the time you set up your policy. 5. Oem endorsement : if you have never had an auto insurance claim, you may not be aware insurance companies do not use parts straight from the car manufacturer. Aftermarket parts and used parts are used to repair vehicles. Upon request some insurance carriers offer an additional coverage to get oem parts, do not plan on it being included with full coverage. 6. Full glass coverage : glass damage is automatically covered when you choose full coverage insurance because it fall under comprehensive coverage. However, if you opt for a high deductible on comprehensive it could wipe out your glass coverage. Full glass coverage you pay a higher premium to get no deductible or at least a lower deductible for glass claims only. Check into full glass coverage if you go with a deductible on comprehensive coverage. 7. Vanishing deductible : if the insurance carrier you select offers vanishing deductibles, be aware the coverage does not automatically come with a full coverage policy. It is typically offered for an additional cost which would need to be added to your policy before a loss occurs. Be careful when it comes to using the phrase full coverage auto insurance. Since it can be taken to mean different things, you really need to be specific when selecting coverage. If car insurance terminology is greek to you, start by learning the basics and ask questions until you feel comfortable with the subject.